Metermine is an appetite suppressing medication manufactured by iNova Pharmaceuticals. 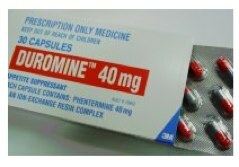 Like the more popular Duromine, it’s a Phentermine powered diet pill that is only legally available to people who have a prescription. 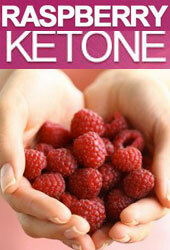 Getting one is likely to be impossible for the majority of dieters. Metermine can be addictive. It can also present a lot of side effects, so Australian law states it can only be prescribed to people who have a high level of obesity. You can buy Metermine from most pharmacies, but you will need a prescription first and getting one may prove to be an impossible task for most people. Doctors have to work within strict legal guidelines when it comes to issuing prescriptions and eligibility is largely based on a patient’s level of obesity and the health risks it is likely to present. Most patients have to have a BMI of 30 or more, but doctors are permitted to issue a prescription to patients whose BMI is between 25 and 30 if the patients have additional health problems, such as high blood pressure or diabetes. 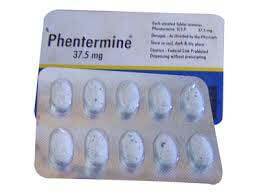 It is also possible to buy some brands of Phentermine online, so some people try to obtain the drug in this way and hope their consignment of pills makes it past Australian customs checks. This is illegal and the pills will probably be seized and destroyed as soon as they enter the country. Trying to import Phentermine in this way is also reckless behaviour. The restrictions on its distribution are there to help ensure the drug is not used in an unsupervised way that could be damaging to the health. Usage Guidelines – One capsule is required each day with breakfast. The treatment can be continued for up to 12 weeks and must be combined with diet and exercise. Users who experience side effects are advised to inform their doctor. Metermine keeps the appetite under control. 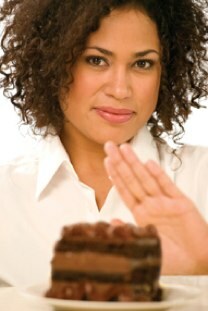 People taking the medication can expect a high degree of liberation from between meal hunger pangs. They should also find they no longer have the desire to overeat at mealtimes. When Metermine is combined with a low-calorie diet and exercise, it causes the body to become so short of calories it has to start burning fat to obtain the energy it needs to power the many biological processes that occur within it 24-hours a day. Each Metermine capsule contains Phentermine. There are no other active ingredients. The drug suppresses the appetite by encouraging the adrenal glands to start producing a similar quantity of norepinephrine, serotonin and dopamine to that which would normally be released during times of danger. When the life may be at risk, a nagging stomach could prove fatal, so this is in-built hunger control mechanism is one of the ways the body tries to protect itself. Minor Metermine side effects include itchy skin and dry mouth. More serious side effects users may experience include mood swings and loss of conciousness. Metermine can help people to lose weight, but it is also hard for most people to obtain (legally) and may cause nasty side effects. 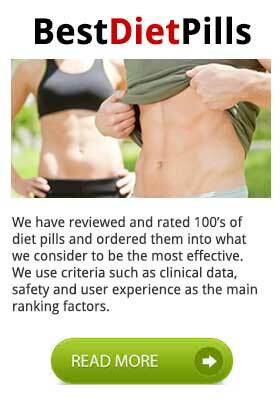 This is why many people take to the net looking for a safe and effective Metermine/Phentermine substitute. If your doctor has given you the necessary prescription, all’s well and good. Use the medication in the way your doctor recommends and keep them updated about any negative issues that may occur. If you have been unable to obtain a prescription, we suggest you look for a safe alternative. 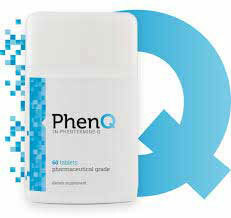 There are many available, but the best one is undoubtedly PhenQ. It contains an all-natural formulation of ingredients that provide a level of appetite suppression that is comparable to that experienced by Metermine users, is cheaper to buy, and comes with a money back guarantee. PhenQ also boosts the metabolism, improves fat burning, and offers a number of other desirable benefits that allow it to pack a more powerful punch than Metermine and deliver fast weight loss without side effects. If you are considering obtaining Metermine illegally, we suggest you think again and get some PhenQ instead.